You are a company, a medium-sized company, a craft business, a sole proprietorship with the appropriate IT infrastructure and you want to fully satisfy your customers with your products.Or you are a private person with corresponding support wishes. Your IT infrastructure should work reliably around the clock. You use Linux systems in the server environment and your staff works with Apple macOs desktop systems or Windows systems and you need expert IT experts for everyday problems and for special IT solutions. You have an IT department with experts for your everyday challenges in the internal IT landscape. However, from time to time you have staff shortages or your IT staff needs the specialized knowledge of external IT experts for special IT challenges. You have chosen Linux or macOS, and now you need startup support and training on these operating systems and software to work safely. In all these cases, IT-LINUXMAKER offers an all-inclusive and distribution-spreading Linux support. And we advise you on Linux and open source software. We create concepts in your IT infrastructure with you. 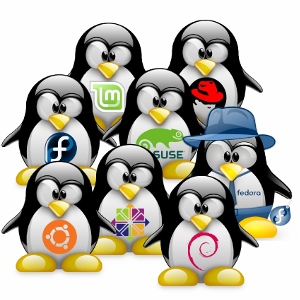 IT-LINUXMAKER offers you advice and support on these operating systems. Contrary to the company name, IT-LINUXMAKER also provides comprehensive Apple support, since macOS, like Linux, belongs to the Unixoids and thus the basis is the same. Raspbian Debian-based Linux for Raspberry Pi and embedded systems. Android Linux-based platform for mobile devices and embedded systems.